If you are unable to figuring out the differences between straight razor vs safety razor, our guide will help. I still remember when I saw my dad using razor during those 90’s. He used to shave twice a week with his black razor. At that time, I did not even know what the heck that was. I used to take a stool and sit for the entire season. Watching my dad cleaning his face. Now, as I grow mature, I can proudly say that my dad was using a straight razo﻿r to clean his face. Indeed, it was not fun for him. Once I asked my dad – “ do you enjoy shaving with that “? Dad’s reply : I don’t. because it takes time. Enough my traditional old kind of story. People have been debating about the vast differences between both straight razor and safety razor. Some say this is best while others have opinion about that. But from our experience, it all comes down to one single formula – Proper knowledge about both of the terms. Like - " you can’t hit a goal you don’t see." Once you become superior on that topic, you now have the power to choose from. And this is where beard mantra comes. We help you to become powerful in your grooming life. Definition wise it’s a razor with a blade which can be folded into its handle. They also commonly known as open razors or cut-throat razors. It used to be the go-to guide before safety razor existed. If you look at the history, the very first razor was made by Benjamin huntsman in 1740. It consist of a blade sharpened on the edge and have a handle which is attached to the blade via a pin. You can rotate in and out of the handle. 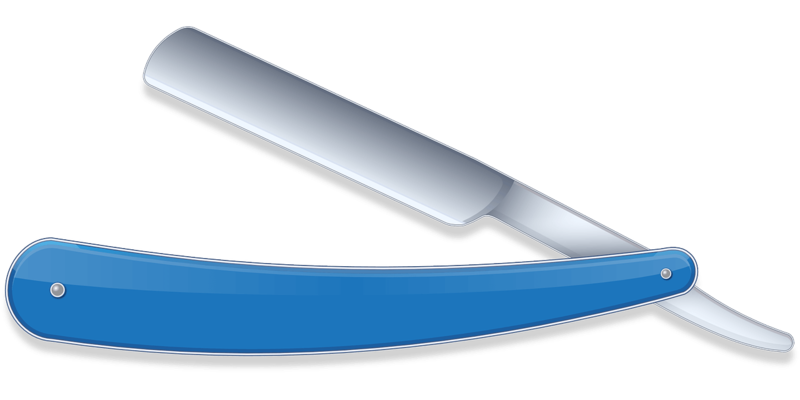 One of the pros of using a straight razor is the design. It is well made and sturdy. But the only benefit you can’t beat is the only blade you need in your lifetime. It just needed to re-sharpen the blade every six months or 12 months. The blades are usually 3 inch long. Actually, it covers the basic surface are of your face so you don’t have to repeat. There are some major cons comes with a straight razor. As it is an old school type razor, you have to go through the learning curve to use it. At least one to two weeks of testing is a must. Having just one blade makes it even harder. If somehow, your blade gets damaged, you will have to change the entire set which is a pain. It also takes a lot of skill and patience to share the dull blade. Due to the learning curve, you may end up with cutting your skin more than once. So you have to be very careful during shaving. A safety razor is a modern shaving tool with a proactive device positioned between the edge of the blade and the skin. 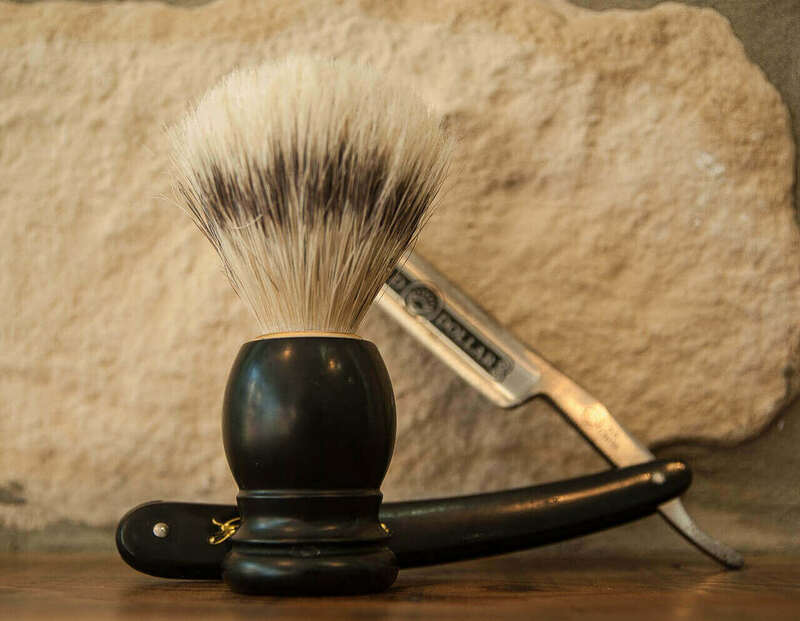 It is first came to the market during 1900 with a aim to reduce the learning curve and provide a injury free shaving. 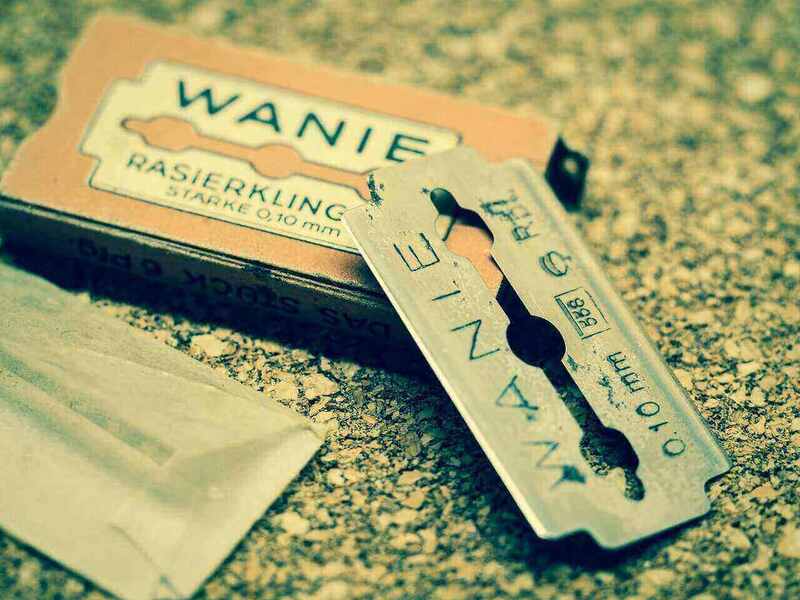 The very first safety razors used a single-edge blade which was essentially a 4cm long segment. Later on, the famous company Gillette introduced their very first triple – blade cartridge razor in 1998. And from then, they are continuously developing new products every year. Due to its easy to use power, it is quickly become very popular worldwide. It can provide you a top-notch shaving feel without any harm if used correctly. Moreover, it can help you to relieve from razor bumps which is very common to the shaving community. The biggest plus point is to get a clean and extremely close shave without having any safety issue. Although, you have to practice a bit more in order to become friendly with it. 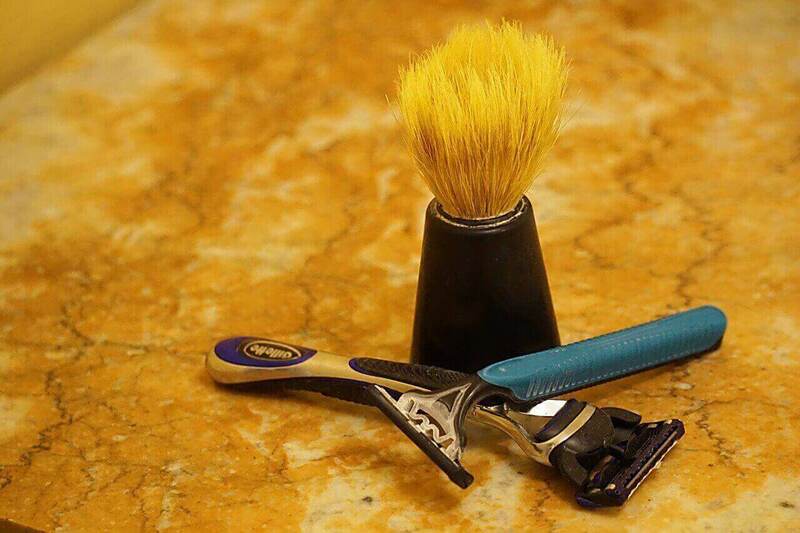 Disposable razors are available in the market for your use. So even if your blades gets dull, you can quickly order online or buy from a story nearby. It is also extremely cost – effective. One blade should go at least one week. ( if you use on a daily basis ). Straight razor comes with a single blade for the lifetime. But in this case, you do have to pay for the disposable razor for the whole life. Sometimes, you may find that it’s not giving you great shave as compared to straight razor. Both tool needs to be practiced in order to master it. It doesn't required much experience. There are plenty of reasons to use both the tool. We already shared the major differences here. So the question really boils down to your own preference. I do not use razor now a days. But my dad still use. What my dad is using? Well, I too was confused first between straight razor vs safety razor but later I suggest him to use safety razor. As he can do it in a quick time. You just do not have to keep shaving for 30 minutes using it. If you are a complete beginner, we strongly suggest you to go with a safety razor first. There are lot of ups and down while using a straight razor. And we do not want you to cut your face here and there just for the sake of shaving. Answer: Straight razors are used for shaving. Previously it was the only tool to clean up the face and get rid of facial hair. As the time evolves, technology changes, tools are also changing. Now, safety razors are well popular compared to straight due to its easy-to-use methodology. While it may cost you a couple of bucks for the lifetime, as a beginner we always recommend you to go with a safety razor. I used to shave with a safety razor during my college season. Now, I am more towards growing a beard, so nowadays I am not using it anymore. This is not a hard and fast rule. If you still want to go with a straight razor, always welcome. Straight razor vs safety razor which one you would pick? Did you use any of them previously? Edwin Jagger de89bl Review 2017 : Why So Many People Love It?